Women suffering from Polycystic Ovary Syndrome – a complex disorder of the endocrine system affecting more than 1 in 15 women worldwide and rising, according to a 2007 report by The Lancet – often find themselves desperately seeking relief from their myriad of symptoms, including: infertility, increased risk of miscarriage, weight gain and obesity, increased hair growth, acne and multiple small cysts in their ovaries. Diagnosed with PCOS at just 17 years old, now internationally acclaimed author, PCOS expert and experienced clinician, Dr. Rebecca Harwin suffered for years at the hands of this devastating disorder. “I was given no useful advice. My doctors told me that I might need help if I wanted to have children and to come back then to be put on medication. That was it,” Harwin remarked. Typical treatment protocols for PCOS include a whole host of medications. From birth control pills and insulin-sensitizing medications to ovulation induction, anti-androgen medicines and topical medications, many of these conventional treatment paths can prove both ineffective and even toxic to the body. 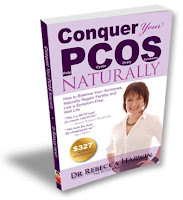 In a desperate search for a better way, Rebecca Harwin slowly and systematically developed a newer, natural approach to PCOS relief – a method she’s now compiled into an exhaustive treatment plan online and in her new book, ‘Conquer Your PCOS Naturally’. Dr Harwin’s motivation? “I knew many other women were suffering just as I had done and I also knew there was very limited accurate information available. I realized I had a responsibility to get this powerful information into the hands, minds and hearts of other women with PCOS. 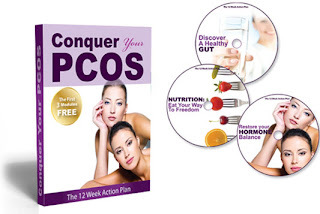 My book ‘Conquer Your PCOS Naturally’ is dedicated to helping women regain their health, boost their fertility, restore their period, lose excessive weight, and live a PCOS-symptom free life,” she said. Still a movement in its infancy, the ‘Conquer Your PCOS Naturally’ approach is already enjoying a steady a stream of accolades and affirmations from PCOS patients and medical professionals across the globe. According to Stacy Miller of Raleigh, North Carolina, the book has been “life changing”. After feeling “lost in a sea of information” following her diagnosis for over a year, Miller found that reading the book armed her with the information she needed to reduce her disease risk and improve her fertility. “I feel now that I have the power to control my body, instead of continuing to let my body control me,” she said. International author, PCOS expert and experienced clinician Dr. Rebecca Harwin has been helping women improve their health for many years. Dr. Rebecca has completed eight years of intensive University study, and holds three undergraduate degrees: a Bachelor of Chiropractic Science, a Bachelor of Applied Science (Clinical Science), and a Bachelor of Applied Science (Human Biology). She has also completed thousands of hours of further health studies.